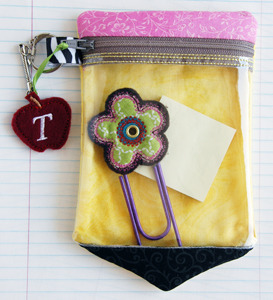 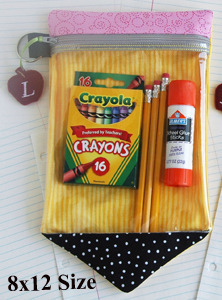 Send the kids back to school in style with our Pencil Pouches. 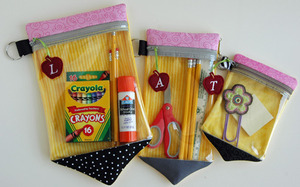 Make our Pencil Cases completely in the hoop. 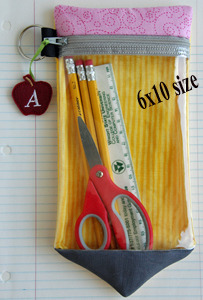 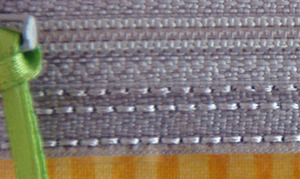 The Apple Zipper Pulls are included in the set. 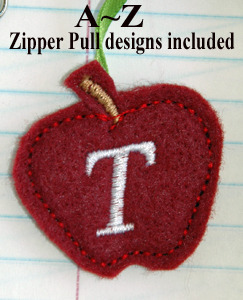 The cute Monogram Apple Zipper Pull designs are included in the set. 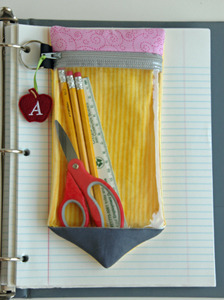 You can clip them inside of binders or put them in backpacks.